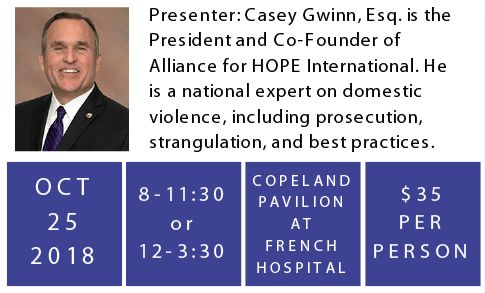 This training is presented in partnership with the Training Institute on Strangulation Prevention and Alliance for HOPE International, and is specifically designed for police, prosecutors, medical professionals, advocates, trainers, policy makers, and experts handling domestic violence and sexual assault cases. Please call Mariko at 805-226-5400 ext. 201 or email contact@RISEslo.org.